The Soundcraft Ui24R Recording System is a 24-channel digital mixer and USB multi-track recording system featuring wireless control. 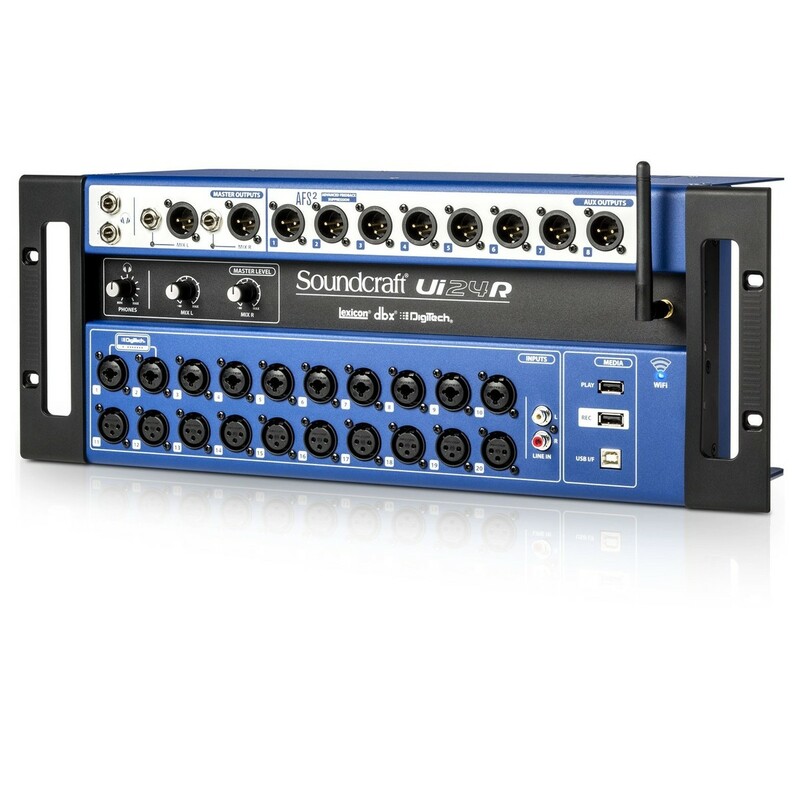 The Soundcraft Ui24R is a versatile, rack-mountable recording system and digital mixer which can double up as a stagebox. The Ui24R Recording System includes 20 premium-quality Studer-designed preamps for pristine recording quality. The built-in dual-band W-fi eliminates the need for a router, providing a reliable connection for up to 10 mobile devices for added convenience. The recording system can be controlled through a range of operating systems and devices including iOS, Android, Windows, Mac and more. The recording system also features a 31-band graphic EQ as well a range of built-in, high-quality effects as well as providing multi-track recording capabilities of all 24 inputs to USB drive and/or connected to a computer. 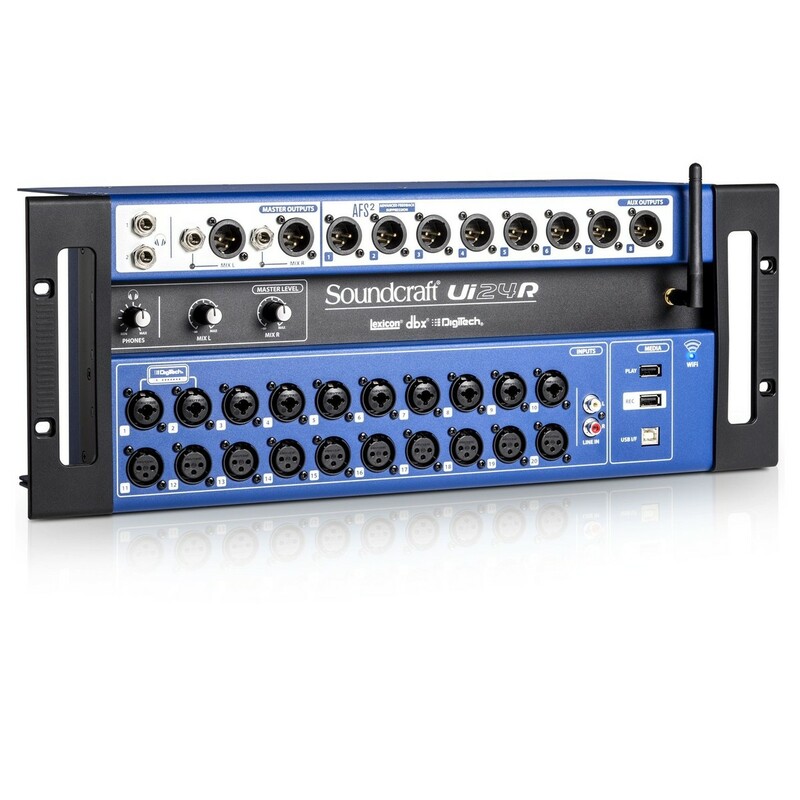 The Soundcraft Ui24R Recording System is a highly versatile multi-track recording and digital mixing system designed both live and studio use alike. 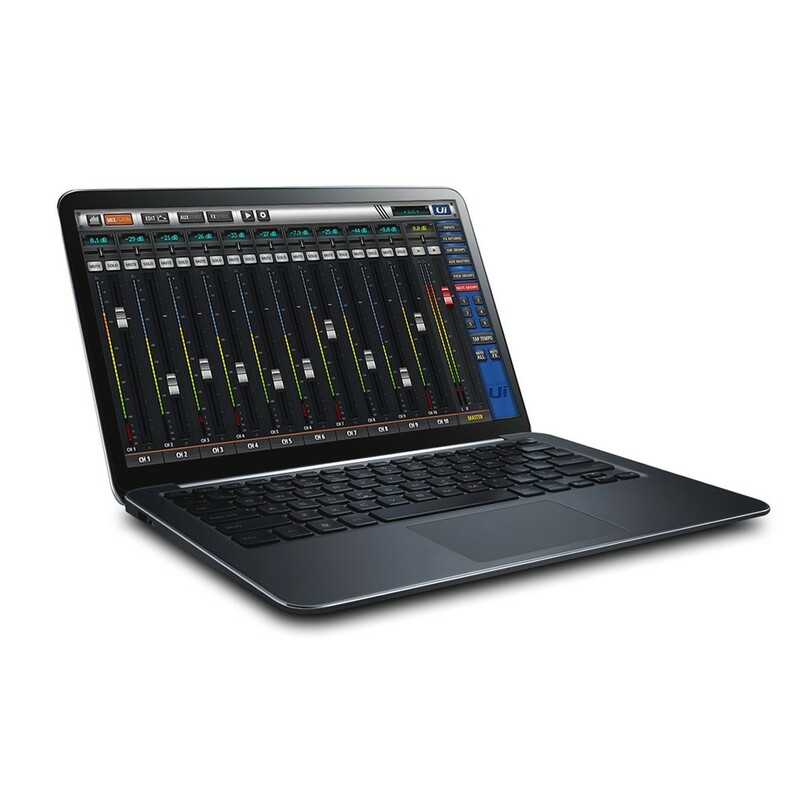 The Ui24R Recording System delivers flexible I/O with exceptional sound quality and highly intuitive wireless control. 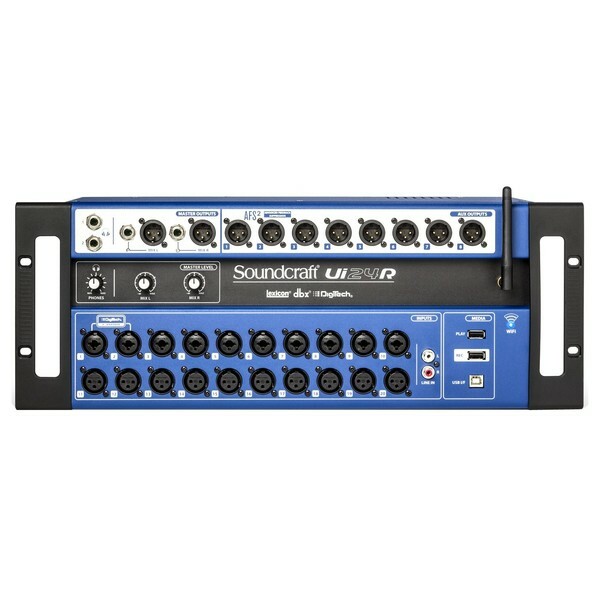 Adding to its versatility, the Soundcraft Ui24R Recording System can also be used as a stagebox, controlled wirelessly by up to 10 devices via Ethernet or the integrated dual-band Wi-Fi connectivity. 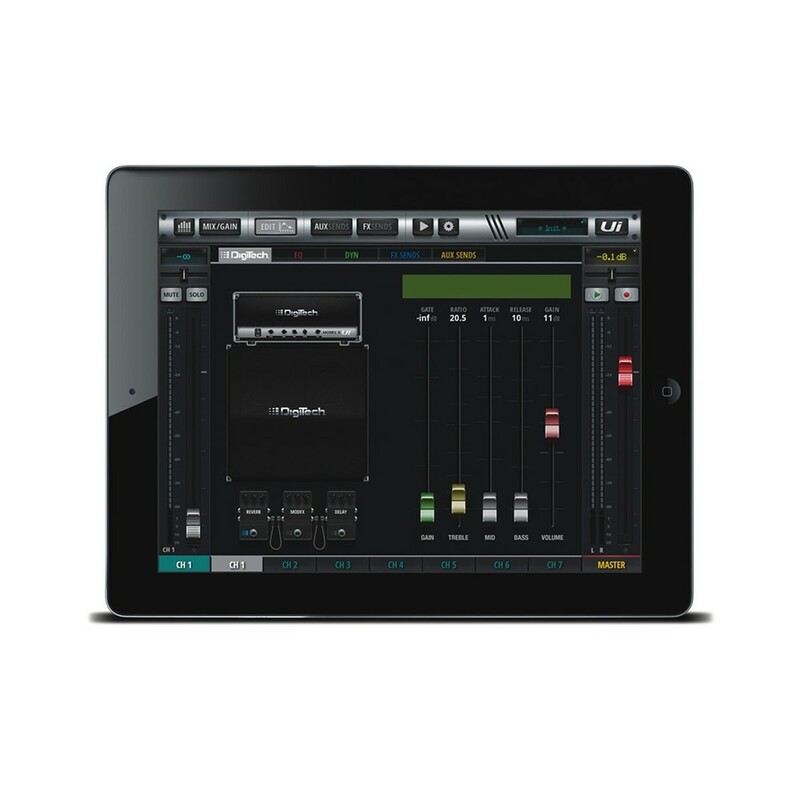 The integrated Wi-Fi enables you to control the multi-track recording and mixing capabilities wirelessly. In total, the Ui24R Recording Interface features 24 simultaneous inputs including 10 combo ¼’’ TRS/XLR, 10 XLR, 2 line level and 2 digital inputs for optimal versatility. 20 professional-grade Studer-designed preamps are including for exceptional warmth and clarity, perfect for capturing studio-grade recordings and live routing capabilities. 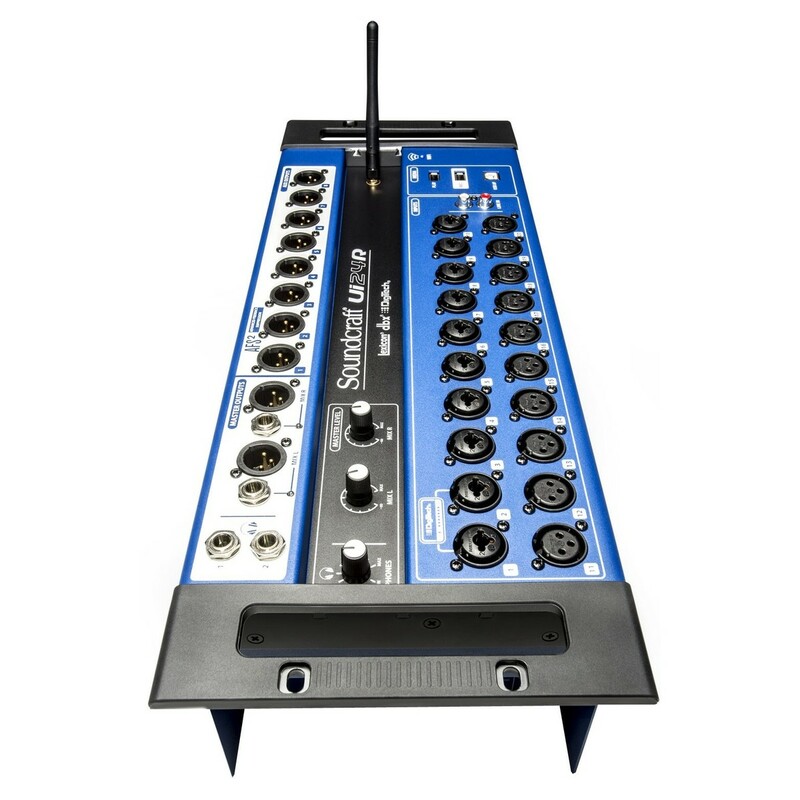 The multi-track recording capabilities allows you to record up to 24 inputs simultaneously to either a USB drive and/or your computer. 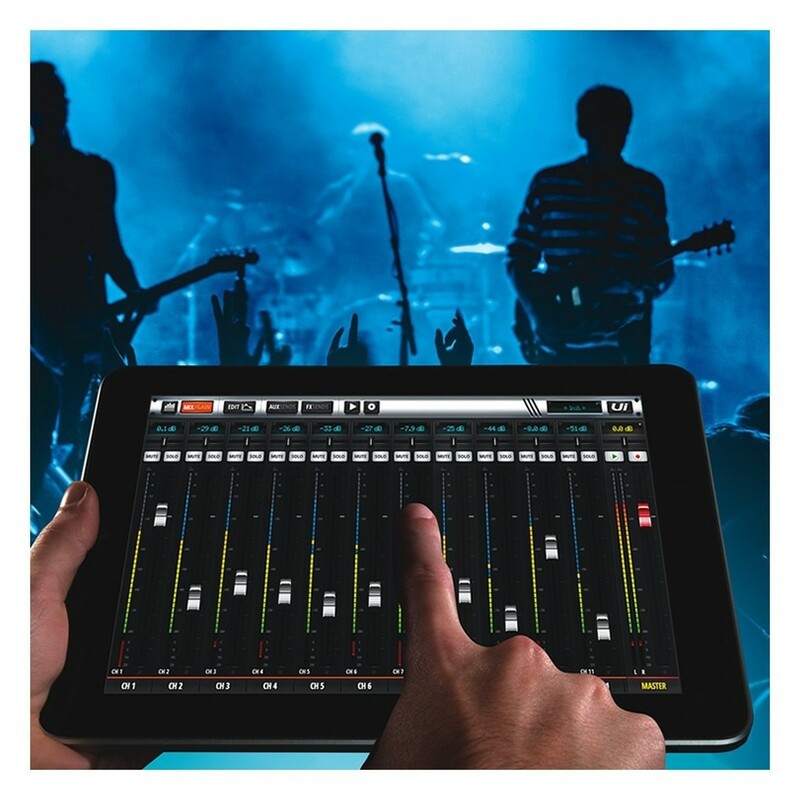 The built-in dual-band Wi-Fi connectivity brings the live mixing experience into the modern era, giving you the freedom to control your mixes anywhere in the venue. 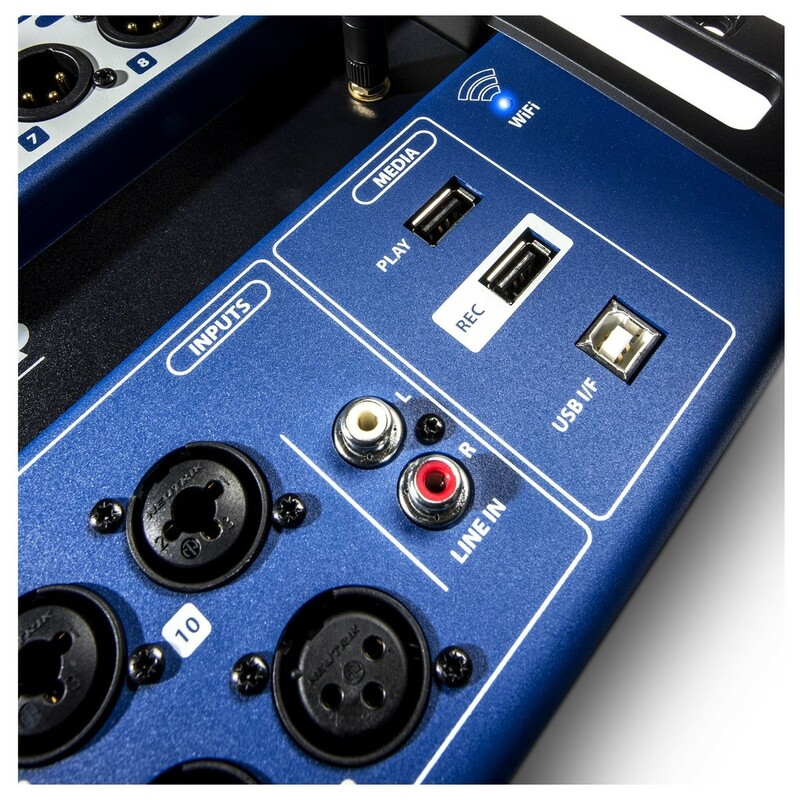 The highly reliable Wi-Fi connections allows both musicians and engineers to change the individual mix on stage and thanks to its wide range of compatibility. 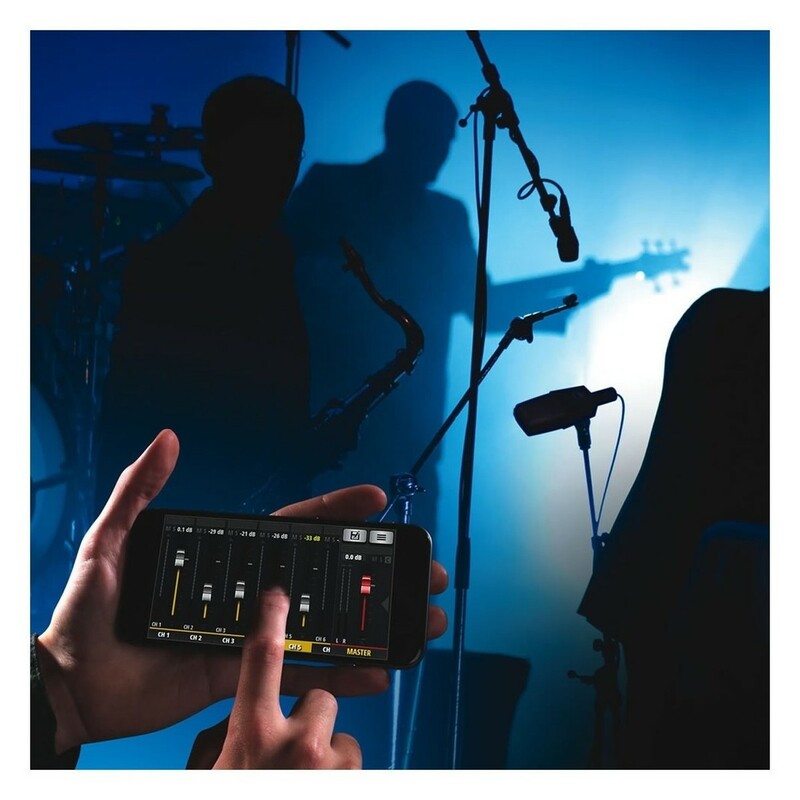 You can control the Ui24R Recording & Mixing System via everything from iOS, Android, Windows, Mac OS and Linux devices, without having to install any additional applications. The ability to record your stereo mix as well as 22 multitrack inputs allows you to capture a full performance, recording directly to a USB drive or computer. The versatility and pristine audio quality the Soundcraft Ui24R delivers, makes it ideal for both live and studio use alike. 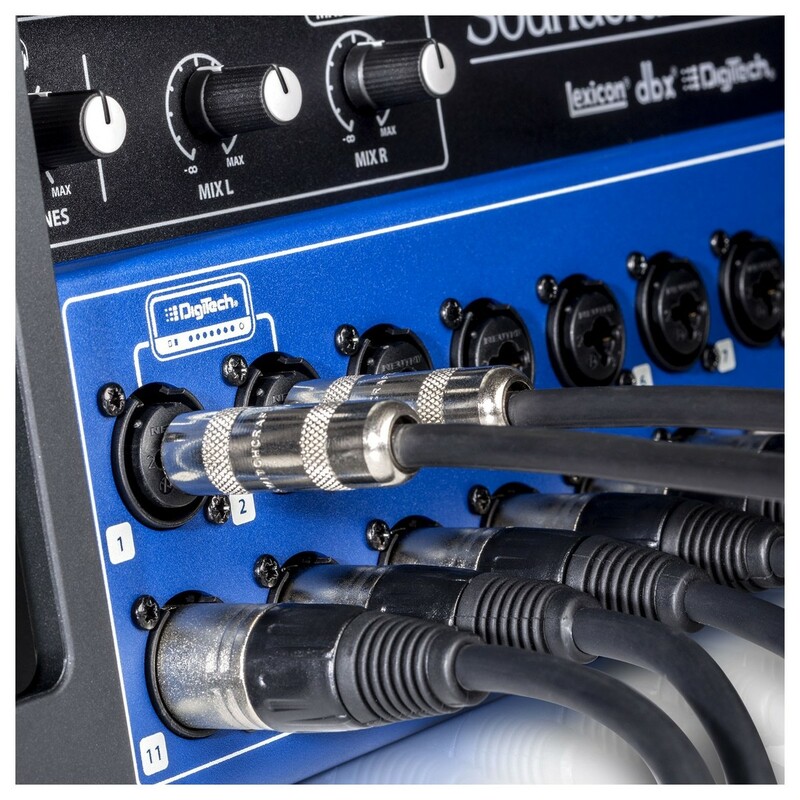 In addition to the wide range of inputs, the Soundcraft Ui24R Recording System includes a range of premium-quality, built-in effects that can be used for a range of applications. The iconic Lexicon reverbs, choruses, delays and compressor offer polished results for both vocal performances and instrument recordings. The built-in dbx AFS2 automatic feedback suppression is available on the all the monitor outputs for improved live sound. Also included is two channels of DigiTech guitar and amp modelling with a whole host of effects to boost any performance, perfect for when low stage volume is required. Also included is a 3-band parametric EQ with high-pass filter, compressor, de-sesser and noise gate on input channels for optimal signal processing capabilities. The 31-band graphic EQ features all the effects you could require on all outputs including noise gate and a compressor. The real-time frequency analyser (RTA) features on all inputs and outputs provides quick and easy monitoring for all your levels, allowing you to create mixes using the visual feedback provided. 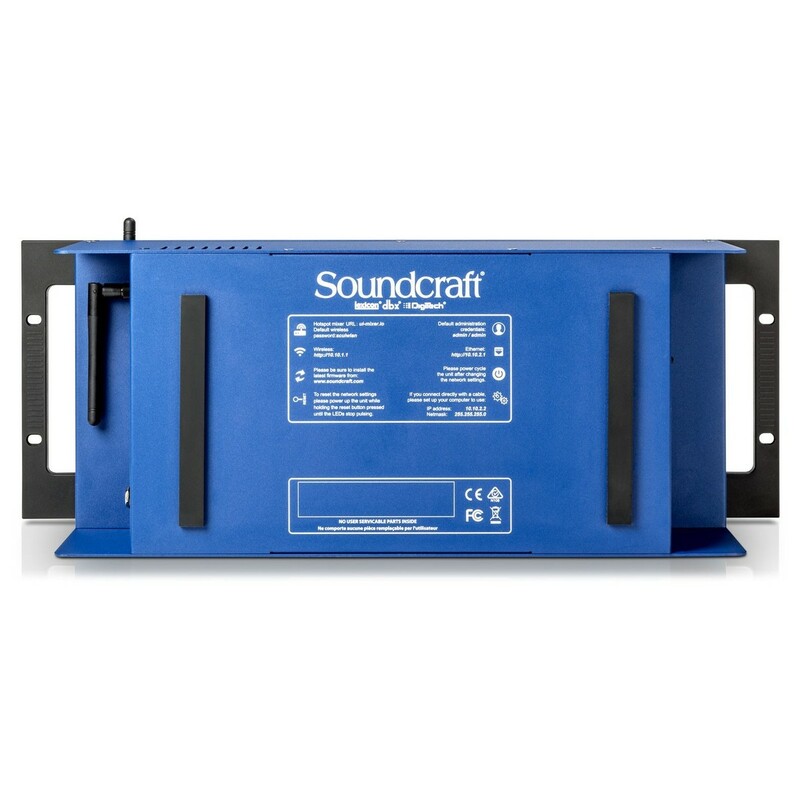 The highly robust and road-worthy design of the Soundcraft Ui24R ensures optimal reliability from studio to the stage. 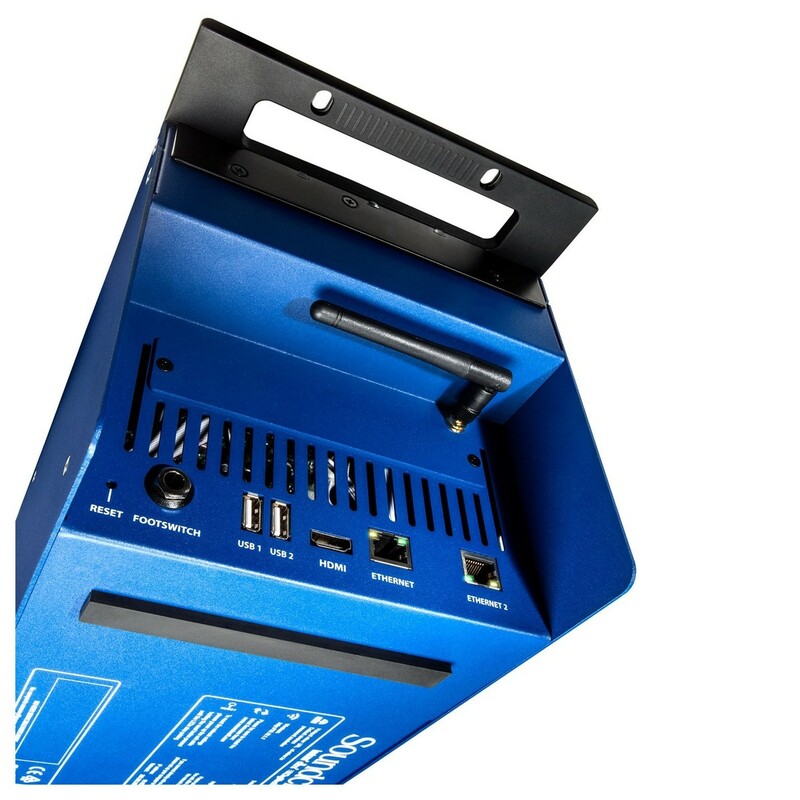 The highly compact, 4U Rack-Mountable design makes it perfect for live venues, with its rugged metal construction providing exceptional durability. The rack-mountable design is part of the new HARMAN connected PA ecosystem, designed for easier setup and control when connected to the HARMAN connected PA app and other compatible products. Connected PA delivers plug-and-play operation with a wide range of HARMAN equipment, allowing you to control your entire live system from a single app. 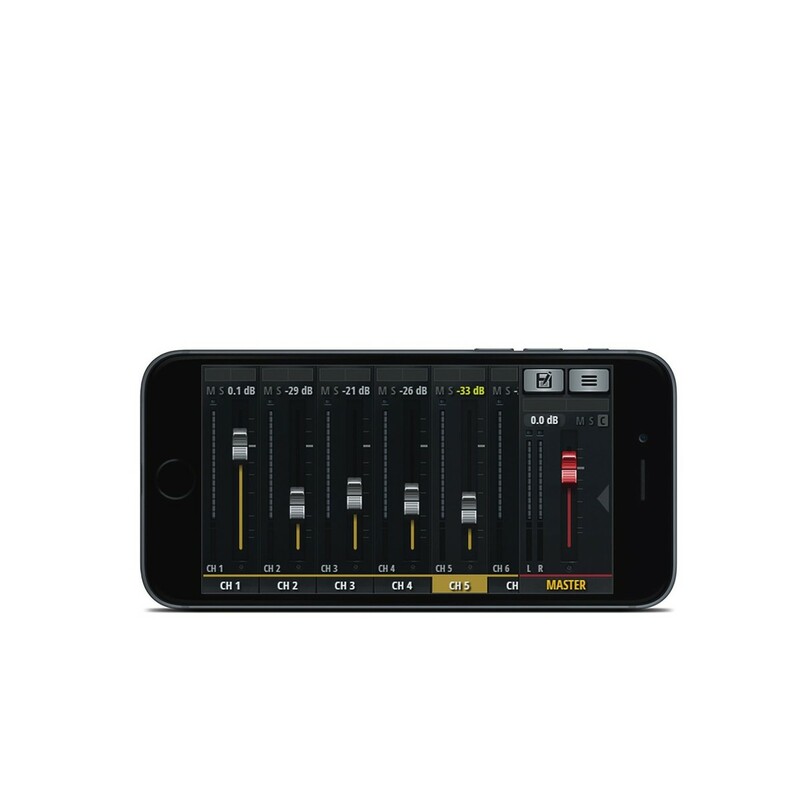 The ioSYS technology helps the ecosystem to self-indentify and retain presets for effortless setup, helping you to optimise your workflow, configuring settings and sound quality.